Δ9-Tetrahydrocannabinol (THC) is the main source of the pharmacological effects caused by the consumption of cannabis, both the marijuana-like action and the medicinal benefits of the plant. However, its acid metabolite THC-COOH, the non-psychotropic cannabidiol (CBD), several cannabinoid analogues and newly discovered modulators of the endogenous cannabinoid system are also promising candidates for clinical research and therapeutic uses. Cannabinoids exert many effects through activation of G-protein-coupled cannabinoid receptors in the brain and peripheral tissues. Additionally, there is evidence for nonreceptor-dependent mechanisms. Natural cannabis products and single cannabinoids are usually inhaled or taken orally; the rectal route, sublingual administration, transdermal delivery, eye drops and aerosols have only been used in a few studies and are of little relevance in practice today. 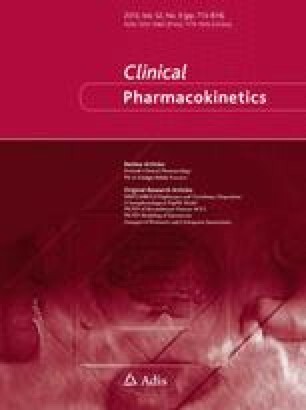 The pharmacokinetics of THC vary as a function of its route of administration. Pulmonary assimilation of inhaled THC causes a maximum plasma concentration within minutes, psychotropic effects start within seconds to a few minutes, reach a maximum after 15–30 minutes, and taper off within 2–3 hours. Following oral ingestion, psychotropic effects set in with a delay of 30–90 minutes, reach their maximum after 2–3 hours and last for about 4–12 hours, depending on dose and specific effect. At doses exceeding the psychotropic threshold, ingestion of cannabis usually causes enhanced well-being and relaxation with an intensification of ordinary sensory experiences. The most important acute adverse effects caused by overdosing are anxiety and panic attacks, and with regard to somatic effects increased heart rate and changes in blood pressure. Regular use of cannabis may lead to dependency and to a mild withdrawal syndrome. The existence and the intensity of possible long-term adverse effects on psyche and cognition, immune system, fertility and pregnancy remain controversial. They are reported to be low in humans and do not preclude legitimate therapeutic use of cannabis-based drugs. Properties of cannabis that might be of therapeutic use include analgesia, muscle relaxation, immunosuppression, sedation, improvement of mood, stimulation of appetite, antiemesis, lowering of intraocular pressure, bronchodilation, neuroprotection and induction of apoptosis in cancer cells. The author has provided no information on sources of funding or on conflicts of interest directly relevant to the content of this review.